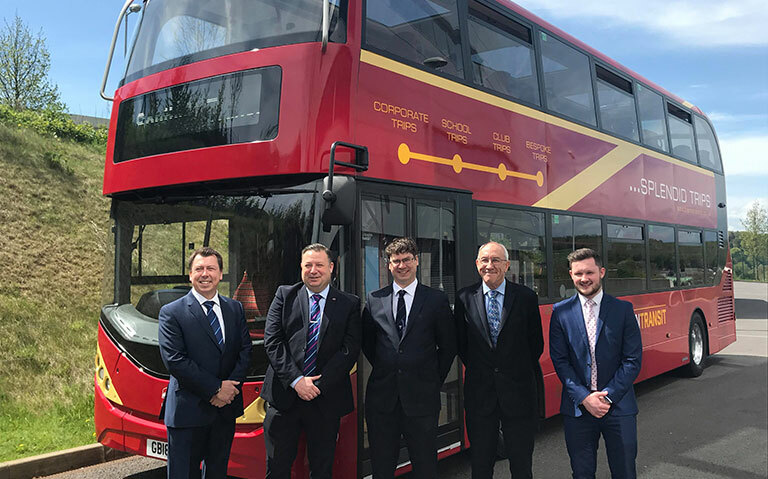 Earlier this month Southern Transit revealed its two new Alexander-Dennis Enviro400 ‘Citymaster’ buses. Now, one of the vehicles has been propelled into the limelight as Ultimate Strongman legend, Terry Hollands, set a new world record by pulling the 12 tonne double decker over 20 metres in just 17.41 seconds! The crowds were out in force at Southampton’s Guildhall Square to watch the ‘Dartford Destroyer’ Terry take on the world record attempt last week and Southern Transit’s £250,000 ‘Citymaster’, was certainly centre stage at the event. Using the towing rig and the front of the bus, Terry harnessed himself to the vehicle and, using the brute force of his 24 stone body, put in an amazing effort to smash the existing world record bus-pull (23.25 seconds set by Jimmy Marky in 2007) by an incredible seven seconds. “We were thrilled to join forces with the Ultimate Strongman team and provide one of our new ‘Citymasters’ for the world record attempt. The atmosphere on the day was incredible and never before has one of our vehicles received so much attention.